Trends and certain hot topics come and go in this hobby, but a few have withstood that old proverbial test of time. Monster trucks come to mind–always popular no matter what else pops up. Criticism of ROAR (Remotely Operated Auto Racers) is another stalwart of RC. Having been around since the late sixties, 1967 to be exact, ROAR has been a part of RC longer than many of its critics have been alive and certainly longer than the majority have been racing toy cars (yup, I called them toy cars). 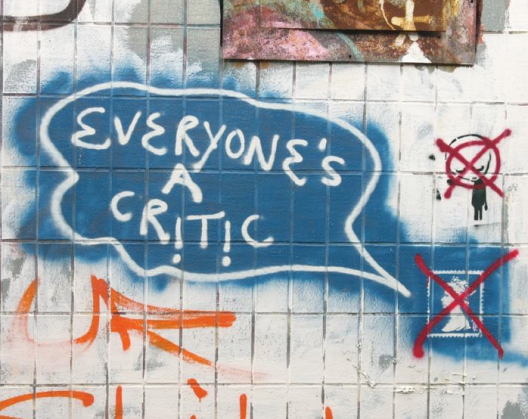 Criticism isn’t all bad, of course, and people should be able to voice their opinions. A lot of people out there have some good ideas. The problem is hardly anyone votes–ROAR election turnouts make traditional elections look downright well attended–and even fewer people volunteer. The fact that ROAR is a volunteer-based organization is oft stated, but not really understood or appreciated. Do I agree with every decision ROAR makes? Nope. But, I–get this–realize that it’s not all about me. I also realize that it’s easy to sit back and be an armchair critic. I know that when ROAR makes a decision or a ruling that thought and consideration was part of the process. I know because I’ve asked such profound questions such as “why?” For example, when ROAR ruled that the 4WD short course class would be limited to 2S LiPopacks with no limits on motors, my opinion was that 3S would be better with a limit on motors. I’m a fan of higher voltage and lower Kv. So, I asked ROAR why they ruled the way they did. As it turns out, they considered many options and as is often the case, no single option was absolutely perfect and no single option would make every racer happy. People need to consider that it is impossible to make everyone happy and to satisfy each person’s individual needs. Despite the fact that the legions of critics frustrate me, ROAR isn’t without fault–specifically on the PR end. Sometimes ROAR handles PR about as well as a third world dictator and sometimes I think the ROAR president receives two items upon being elected: an iron gavel and a “Shut Up & Race” bumper sticker. I do sympathize. If the only feedback I received was from essentially anonymous people incessantly complaining on forums, I too might forget to bite my tongue on occasion or forget to choose my words a little more carefully. For the most part, running ROAR is a thankless job. You couldn’t pay me to do it. So, what does all of this mean and what am I getting at? Next time ROAR makes a ruling you don’t like, ask why with an open mind before you cast judgment. Have a discussion on a forum, not a trial. Realize that your opinion or option wouldn’t lead to blue skies for everyone and peace on Earth anymore than the one ROAR went with. That would be a great start. The next step would be actually get involved with more than your mouth by actually voting and, even better, volunteering. If this happens maybe we’ll have more racers than critics. you can make some pople happy sometimes but you can’t make all the people happy all the time . Amen Matt ! I have seen several examples of what you are talking about on both sides , but some of the racers take the cake IMO . I wish ROAR would listen to tracks. There should be a printout that tracks can get where people in different classes should be able to say what they want to run, or are running. After getting these results, try to find what most people seem to want, and use their common sense and research to fill in any missing holes.